'Downton Abbey' Cast Begins Filming Season Six! The cast of Downton Abbey gathers together to film for the upcoming season on Thursday (March 19) in Wiltshire, England. 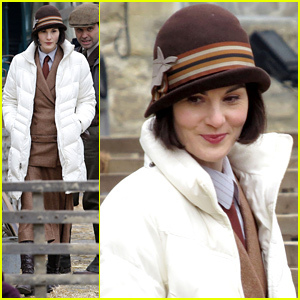 Michelle Dockery, Hugh Bonneville, Rob James-Collier, Sophie McShera, Phyllis Logan, and Brendan Coyle were all seen on set in the picturesque village. 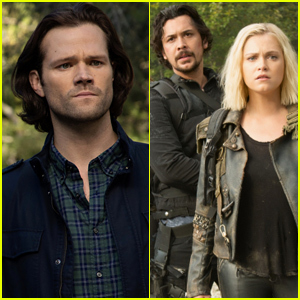 The show was picked up for a sixth season earlier this year, and will presumably air next year. The fifth season just ended a few weeks ago! Kate Middleton Meets Cast & Crew at 'Downton Abbey' Set Visit! Catherine, Duchess of Cambridge (aka Kate Middleton) is all smiles as she is greeted with a bouquet of flowers while arriving on the set of Downton Abbey at Ealing Studios on Thursday (March 12) in London, England. The 33-year-old pregnant royal was introduced to writer and show creator Lord Julian Fellowes, executive producer Liz Trubridge, and cast members Michelle Dockery, Phyllis Logan, Rob James-Collier, Lesley Nicol, Hugh Bonneville, Elizabeth McGovern, and Sophie McShera. Kate was then taken inside to visit make-up artists at work, meet the costume designers, seamstresses and cutters in the workshop and was also introduced to the people behind the design and production process of set scenery and props. 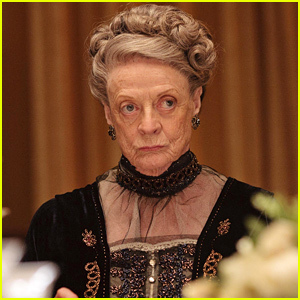 Dame Maggie Smith said she will be leaving Downton Abbey after the next season, even as speculation circles that next season will be the show’s last. “One isn’t safe after doing Downton. What’s sad is I’ve gone through my whole life without any of that. I could go round galleries and things on my own and I just can’t do it now. If someone decides to get at you, you can’t get away,” Maggie said about the fame. 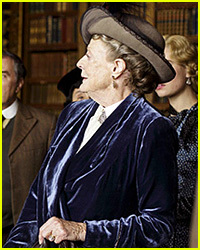 'Downton Abbey' Wins Best TV Drama Ensemble at SAG Awards! Downton Abbey was victorious this year at the 2015 Screen Actors Guild Awards held at the Shrine Auditorium on Sunday (January 25) in Los Angeles. 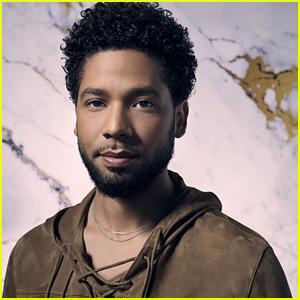 The hit series won the award for Outstanding Performance by an Ensemble in a Drama Series and just a few of the cast members were there to accept the award. Joanne Froggatt, Laura Carmichael, and Allen Leech, along with Sophie McShera and Penelope Wilton (not pictured) hit the stage to give acceptance speeches. FYI: Joanne is wearing an Honor gown, Stuart Weitzman shoes, a Salvatore Ferragamo bag, and Jacob & Co. jewels. Laura is wearing a Vionnet dress, Stuart Weitzman shoes, and a Rauwolf clutch. 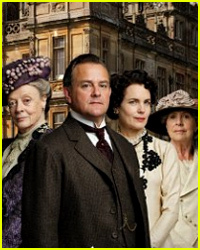 ‘Downton Abbey’ Wins Best TV Drama Ensemble at SAG Awards! Boyhood, starring Patricia Arquette and Ethan Hawke, follows the life of a young man, Mason, from age 5 to age 18. Get On Up, starring Chadwick Boseman, Viola Davis, and Octavia Spencer, is a chronicle of James Brown’s rise from extreme poverty to become one of the most influential musicians in history. 'Downton Abbey' Season 5 Premieres Tonight!